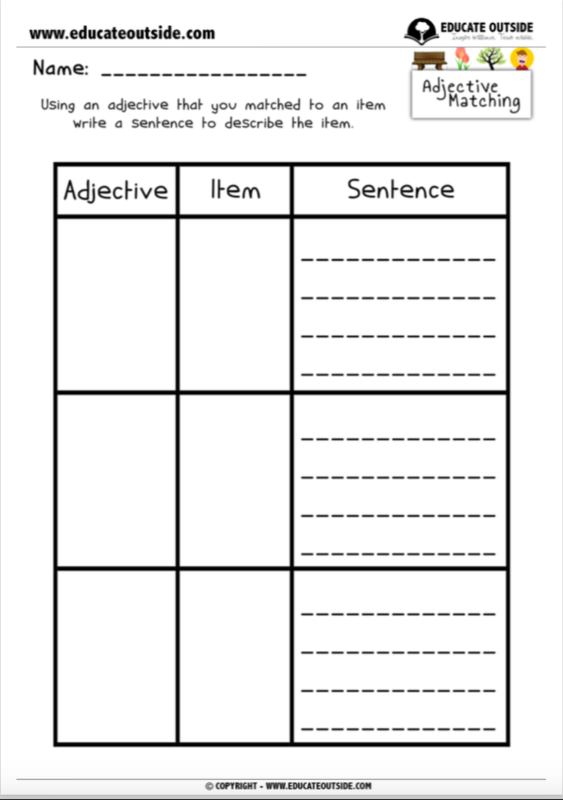 This activity will get your class thinking about adjectives and things that they could be used to describe by placing the adjective cards next to items they can find outside that match them. 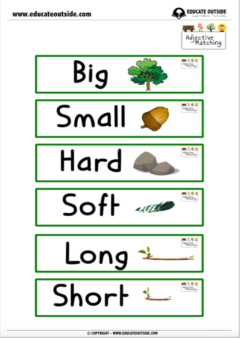 For example, they might place ‘big’ next to a big tree. 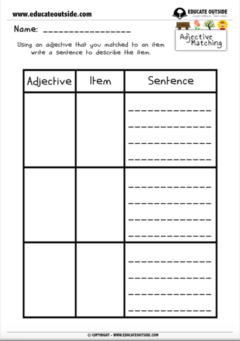 As an extension, they could then go on to use the card and the item they have found to write a sentence containing the adjective. This activity is differentiated by the support given and the amount of input before the lesson. 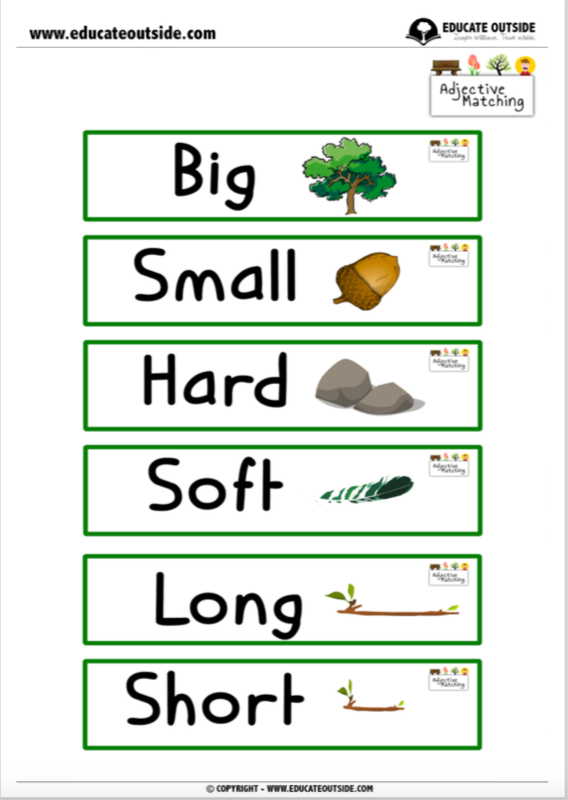 It may help to put your students in mixed ability groups, or for small groups to complete the activity with an adult.